Paraguay is the third Latin-American country to have Franciscan missionaries from the Cracow province. 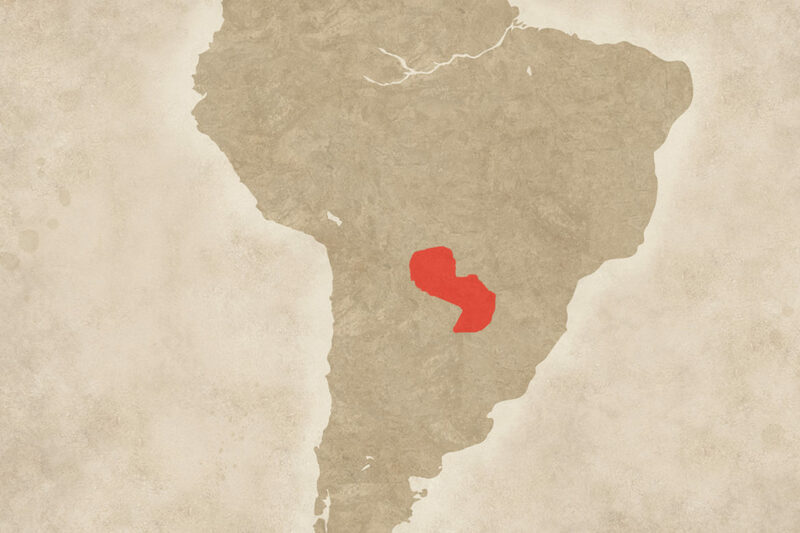 Paraguay is a land-locked, tropical country, where Guarani and Spanish are spoken. The origin of the name ‘Paraguay’ is debated. It may mean ‘the river that is the beginning of the sea’, the water of the payaguáes inhabiting the river bank, and the name of the great cacique (tribal leader) Paraguaío. Other theories are that it means ‘a river like a sea’, ‘a river of inhabitants of the sea’ and the crowned river. The capital of Paraguay is Asunción (Assumption). The act of independence was signed on 11 May, 1814. Anyone who goes to Asunción should be prepared for hot weather and high humidity. Living in Asunción is like getting a free sauna, every day. A bird’s-eye view of the city reveals a large metropolitan park and characteristic buildings, mostly single-family homes with red-tile roofs. Further from the centre, the buildings are more modest. The presence of Franciscans in Paraguay begins with Fr Rufin Orecki (from 1986). However, the formal inauguration of the mission in Paraguay did not take place until January 1993, with Fr Rufin and Fr Stanisław Stój making up the community. They were joined by a third missionary in March 1993, when Fr Mieczysław Wilk arrived in Asunción. Construction of a new home began. The newly-formed community decided to establish a Marian Institute and considered the character it would have in Paraguay. Of great concern to the community was improving and enriching the formation of members of the Knights of the Immaculata. In 1989, they published the first issue of the Paraguayan equivalent of the Knight of the Immaculata – The Voice of Mary (Tupasy Ñe’e – La voz de Maria). The magazine is widely distributed with a circulation of ten thousand. The Archbishop of Asunción confirms the popularity of the publication, saying that many other Catholic periodicals have fallen to low levels of readership in Paraguay. The Franciscan friary called ‘Casa Anunciación’ (the House of the Annunciation) is the center of the Apostolate of Divine Mercy. A new form of Franciscan missionary presence in Paraguay has developed – the pilgrimage movement. The missionaries are also using the mass media to evangelize, taking advantage of the popular radioemisoras comunitarias – community radio broadcasts – which, although they have a limited range, fulfill a wonderful mission. Apart from their mission in the capital of Asunción, the Franciscans are also active in Guarambare and Aregua.